With the earth now scheduled to end twice in the near future, once on May 21 of this year, and again on December 21 of 2012, let us look at at some of the previous times that the world ended. We will turn to the Zetas and the great Pole Shift that was going to be caused by a supposed "Planet X" in May of 2003. The "Zetas" are a supposed alien race whose messages are allegedly channeled by one Nancy Lieder of Wisconsin, seen here. (Usually she just goes by her first name). She began posting on the internet her messages from the Zetas in 1995, and soon acquired a considerable following among New Age, UFO, and Conspiracy believers. When the giant comet Hale-Bopp was discovered in 1995, Nancy proclaimed that it didn't exist - it was a disinformation campaign to distract people from the coming doom of Planet X. According to Nancy's website, "The inbound Planet X was sighted at the coordinates given by the Zetas in early 2001, imaged in infrared twice in January, 2002, tracked by CCD images in late 2002 to early 2003, and thereafter photographed by amateur astronomers around the world. That a middle aged woman with a high school degree, who does not even know which end of a telescope to look into, could pinpoint the RA and Dec of the brown dwarf, Planet X, is astonishing, and speaks to the validity of ZetaTalk." This is, of course, pure nonsense. A few photographs were produced purporting to show Planet X, but there was so little information provided that it was impossible to say what they really were. 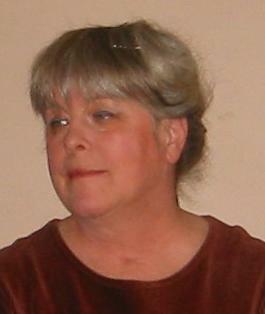 Nancy boasted of a 68 percent success rate for seeing Planet X during April of 2003, but only for “those educated, who had done their homework and followed the imaging session, noted our words as to what to look for, and oriented themselves in the sky.” Apparently other people didn't see anything. She further informs us that MJ12, the supposedly ultra-secret crashed UFO panel, has “committed suicide to prevent itself from being misused.” Ten years after its alleged "discovery," no reputable astronomer, amateur or professional, has ever confirmed any sighting of the supposed "Planet X." According to the Zetas, Planet X was approaching earth in early 2003, to cause a “pole shift” and massive destruction on or about May 15. “The 12th Planet will be visible to the common man some 7 weeks prior to the shift, without the use of telescopes,” says Nancy, meaning that it should have become visible around the end of March. “Planet X will have a distinct red appearance, with a roiling tail full of moons, that are more concerned with the dance between them than any affect the solar wind might have upon them. Thus, they swirl, and look like a dragon approaching, not a straight line tail at all. Nevertheless, we anticipate NASA will explain the Planet X complex as any number of things, or rather their lackeys, who will natter the word on every Internet or media source that allows their nattering - asteroid bunch, passing comet, unusual comet, Mars closest pass in many eons, or whatever.” In other words, by May of 2003 “Planet X” would be huge and impossible to miss, but the government will attempt to convince you that you are actually seeing something else. Nancy noted on her website that in December of 2002, the popular late-night radio host Art Bell interviewed Sylvia Browne, “the well-known psychic and author. And she disclosed she is no longer able to see the future beyond the summer of 2003.” Bell also interviewed Ed Dames, who claims to have been a “remote viewer” employed by the CIA. Dames said that “he and his remote viewing team are no longer able to remote view the future beyond next summer.“ From this, Nancy deduces that there will be no future beyond the summer of 2003. The close approach of the mythical Planet X was supposed to cause a Pole Shift on the Earth, with massive accompanying destruction.Of course, it never happened. During June of 2003, Nancy posted numerous accounts of supposedly bizarre phenomena such as unexplained booms, sunspots, a ring around the Moon, and the Sun “rising and setting in the wrong place.” These were labeled as “signs of the times,” and were attributed to the proximity of the dangerous Planet X. Nancy insisted that Earth’s rotational stopping and flipping was indeed still going to occur, but she refused to specify the hour or date. Her followers were carefully noting the times of sunrise and sunset, and the position of the Sun going down, to see if Earth’s expected careening might have already begun. But when these disasters failed to occur, most of her followers turned their attention elsewhere, to different weirdness. The Global Competitiveness Forum is a meeting of the world's top Movers and Shakers, held each year in Riyadh, Saudi Arabia. Industry leaders and sheiks rub shoulders with political leaders and intellectual leaders (or at least that's how it's supposed to work - http://www.gcf.org.sa/ ). This year Bill Clinton and Tony Blair were there, as well as Andy Bird, the Chairman of Walt Disney International. And this year, these movers and shakers were treated to a panel (mostly) on UFOlogy, featuring Stanton Friedman, Jacques Vallee, Michio Kaku, and Nick Pope (http://www.gcf.org.sa/en/Program/Program/Welcoming--Networking--0800---900112112/ ) . When I first saw this in an email sent around by the far-out Bohemian physicist Jack Sarfatti, I scratched my head and muttered "WTF?!!!". Here these (presumably) very hard-headed, results-oriented global leaders have paid a reported $4,000 each, not counting expenses, to attend this seminar in the Middle East, and what they get for their money are tired old claims of extraterrestrial contact that have been kicking around for decades. Even more astonishing, these talks are only about ten minutes each. I forwarded this to several of my skeptical buddies, and they also scratched their heads and muttered "WTF?!!!" The panel was held on Sunday, January 23 (a workday in Saudi Arabia). The videos are now up on YouTube, saving both you and I $4,000 each, plus airfares and hotel, to learn about how Contact from Outer Space will boost our Global Competitiveness. Zaghloul El Naggar is a Professor of Earth Sciences of the Supreme Council of Islamic Affairs (the guy apparently has a real PhD in Earth Sciences from the University of Wales). His talk was the most interesting from my perspective, as it was not something we ever hear in the West. He explained that one needs "divine guidance" if one wants to maximize competitiveness, and that the best source for Divine Guidance is of course the Glorious Koran, whose "divine purity" has never been sullied or compromised. He discussed two Koranic verses that appear to describe the Big Bang: "And the Firmament we have built with might, and verily we are (currently) expanding it." No one asked him if the use of the term "firmament" implied that the stars were attached to a solid sphere, as was believed in Medieval Cosmology. (Indeed, the audience was astonishingly quiet throughout the panel, even when funnyman Stanton Friedman cracked jokes. Maybe nobody actually attended this session, since we can only see the speakers). He then described the Koranic process of "creation, destruction, and re-creation" of the universe, and tied it in to a "Big Crunch" that would occur when the expansion phase of the universe peters out, to be followed by another Bang. Too bad that Dr. El Naggar is a decade or two behind in his knowledge of Cosmology. According to all of the latest evidence, the expansion of the universe is accelerating, not slowing down, an acceleration hypothesized to be caused by "dark energy" (http://en.wikipedia.org/wiki/Dark_energy ). So if he's going to claim that science supports the Koran, he at least ought to know what science currently says. But that is not his claim: rather, he says, "We are supporting science with the Koran, not vice-versa." The Koran, he explains, contains over 12,000 verses that have been proven to be absolutely scientifically precise. For example, the Koran tells how Allah formed the heavens and the earth out of "smoke." And "this smoke has just been photographed by satellites that have passed the zone of pollution and the zone of clouds surrounding the earth." It's worth paying $4,000 to get information like that. Good old Stanton Friedman calls himself "The Flying Saucer Physicist", because he worked in physics about fifty years ago, and hasn't stopped talking about it since. Friedman's lecture covered largely the same subjects he has been covering since the 1970s, but held to under ten minutes, long-winded Stanton was clearly vexed. He proposed the use of nuclear fusion for rocket propulsion, without explaining the absurd fuel requirements to get anywhere even near the speed of light (see for example http://www.ncbi.nlm.nih.gov/pubmed/17737431 ). He suggests that the most likely place our visitors are coming from is the star system Zeta 1 and Zeta 2 Reticuli (not mentioned by name, but clearly described, and a regular part of Friedman's UFO lectures). This is interesting, because recent satellite data has completely invalidated the so-called "UFO Star Map" drawn up by Marjorie Fish from the map the late Betty Hill drew after her supposed UFO abduction (see my Psychic Vibrations column in Skeptical Inquirer, Sept/Oct 2009, for the full story). Since Friedman endlessly claims to be a scientist, he is obligated to abandon an earlier hypothesis when newer data contradicts it. This has absolutely happened, but not a peep from Friedman about abandoning the tired old Fish Map. Nick Pope is a British author and journalist who used to handle UFO reports for the Ministry of Defense. He talked about the various ways that researchers are currently searching for extraterrestrial life: through SETI, through the search for exoplanets, and through UFO reports. He was the only one whose talk was actually on-subject, that is, how ET Contact can make you "competitive." He suggested that the discoverer of ET life would presumably own the naming rights, which could be extremely valuable if sold. He also suggested that the information contained in an ET signal might have great commercial value. Michio Kaku is a theoretical physicist at the City University of New York and science TV personality, who wrote the appropriately-titled Physics of the Impossible, "A Scientific Exploration into the World of Phasers, Force Fields, Teleportation, and Time Travel." Kaku urged his listeners to "open their mind" to the prospect that some day we will make contact with ETI. In fact, he predicted that by mid-century we "might" make such contact, a bold prediction that is in no danger of being falsified. Kaku described three types of advanced civilizations: a Type I civilization controls the resources of an entire planet, which includes controlling earthquakes, and the weather. A Type II controls the resources of a solar system, which includes moving planets around at will. Type III controls the resources of an entire galaxy. (These classifications were actually created by the Russian astronomer Nikolai Kardashev, who was not credited). Kaku did not explain how that could be possible, given that it takes light approximately 100,000 years to cross an average-sized galaxy, meaning that orders from Galactic HQ will be already tens of thousands of years old before they even arrive at the frontiers. But Kaku has never taken speed-of-light limitations very seriously. He even speculated that there might be a Type IV civilization, harnessing the energy of the entire universe! He predicted that our own civilization would become a Type I civilization in about 100 years, meaning that we would become like gods in controlling our planet. I pity whoever has to fill out the Environmental Impact Report for that transition. Longtime UFO investigator and theorist Jacques Vallee repeated his usual claim that UFO reports are a 'challenge to science,' and are "potentially leading to technology breakthroughs." The problem is, we have no actual data about UFOs, just anecdotes, and the reason that the Royal Society in London adopted the motto "nullius in verba" ("on the word of no man," i.e. words alone count for nothing), is that there were plenty of guys like Vallee back in the 17th century presenting similar "evidence" without tangible proof. Of course, in those days claims were usually about alchemy, religious miracles, or witchcraft. In fact, a serious effort was set forth in the 1660s to prove the reality of witchcraft on purely empirical, not religious, grounds, by appealing to credible eyewitness testimony, exactly as UFOlogists do today. 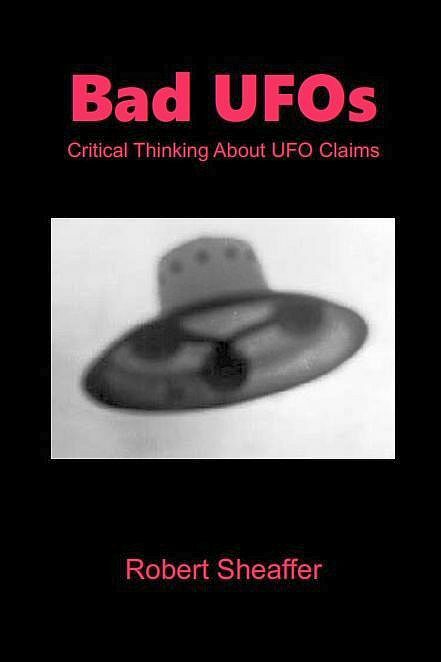 See Chapter 7 of my book UFO Sightings. The Royal Society's 17th Century decision to ignore anecdotes is at the very cornerstone of the modern scientific method. It is what separates "science" from "pseudo". Vallee served up not the usual long-debunked UFO cases, but some golden oldies that nobody is talking about any more, from the files of France's UFO investigations, supposedly so well-witnessed as to leave little or no room for doubt. One was an aircraft sighting near Dijon, France on March 7, 1977 around 20.30. (Thanks to Jim Oberg for helping with this one). Actually, there were several UFO sightings in France and the U.K. around that time, suggesting that it was likely a meteor high overhead. Unfortunately, so little information has been published about this case that it is impossible to say anything about it with much confidence. Another sighting was from Orleans in 1956. Perhaps Vallee was relying on the very obscurity of these cases to protect them from refutation.